A directory of Amish cabin sellers Looking for Amish log cabins, hunting cabins, Amish log homes, or other Amish buildings in MI? Michigan residents from Detroit, Ann Arbor, Lansing, Grand Rapids, Kalamazoo, Jackson, Saginaw, and other MI cities have access to a variety of Amish cabin businesses around the state. Search the directory below for a dealer of Amish made cabins near you. Some prefer to buy Amish cabins direct from the source. Some, though not all, Amish cabin businesses sell their cabins on a retail basis. View Michigan Amish communities to find a settlement near you. Searching for another Amish business? Check the Amish Business Directory main listings. A range of cabin styles including hunting, cottage, lodge, extreme split level, raffle cabins and much more. All the structures are hand-built by skilled Amish contractors and can be customized to any specifications. Full line of interior and exterior options. Amish made cabins in different styles and sizes. Jim’s offers buildings fully insulated or unfinished with stud construction. Cabin models include Trailblazer, Settler with/without porch. Flooring, window and door options available. Log homes and cabins with full log or log siding, can be built on site and delivered in one piece. A variety of options such as lofts, side or front porches. Cabins can be fully insulated or non-insulated. Each building is Amish made. Family owned and operated business, specializes in outdoor structures, mostly built on site by a skilled Amish crew. They offer the scout cabin, hunter cabin, fishing retreat, custom cabins and more. Amish quality built outdoor structures including lofted Cabins. Michigan residents: Please double-check hours of operation of Amish cabin sellers given here. Locations and opening hours can change. Amish-owned businesses will be closed on Sundays given Amish beliefs about the Sabbath. Non-Amish cabin dealers may be open. For cabins in states besides Michigan, view the Amish cabins main directory page. Portable Amish-built cabins are typically built off-site and transported to the buyer’s location. Alternatively, Amish construction crews can be hired to build a full-sized cabin on your property. Many Amish businesses construct accessory and related pieces including sheds, storage buildings, mini-barns, garages, outhouses, gazebos, pergolas and more. 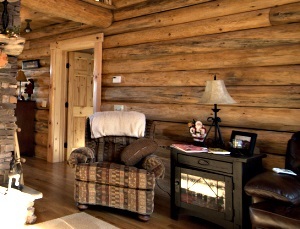 An alternative to purchasing a ready-constructed cabin is to buy a log cabin in kit form. Necessary parts are included, while the buyer is responsible for construction and installation, including providing appropriate tools. If you have the necessary construction skills, Amish log cabin kits can be a money-saving alternative to buying a ready-made log cabin. Log cabin kits typically provide a few thousand dollars in savings over ready-made cabins. In terms of sheer numbers of Amish communities, Michigan is one of America’s leading states, with over 3 dozen Amish locations, from Michiana to the Upper Peninsula. Some prospective cabin buyers may wish to find a cabin builder in an Amish area. Cabin producers can be found amongst Amish in the Great Lakes State. Below you’ll find locations of some of Michigan’s largest Amish settlements. While finding a cabin manufacturer here is not guaranteed, if you are within range of one of these areas and seeking an Amish cabin, it may be worth a visit. Otherwise, try one of the retailers listed above. Centerville (St. Joseph County): Lying in southern Michigan’s St. Joseph County, the community of Centerville is by far the state’s largest. Numerous Amish-operated businesses can be found in the Centerville area including manufacturing businesses. Approximately 1,500 Amish live in the Centerville community. Branch & Hillsdale Counties: As of 2013, 8 separate Amish communities can be found across the contiguous counties of Branch and Hillsdale in southern Michigan. Clare: The Clare community of central Michigan consists of 4 congregations. A number of Amish-owned businesses can be found in the area. Home of Yoder’s Amish auction, held annually. Been looking into Amish log cabins for a while now since watch “Tiny House Nation”, and now I’m looking into getting one myself. I live about 200miles north of Grand Rapids, Michigan, POSSIBLY little more. Do you deliver that far up? If so, how much would it be with the cost of delivery and price of a 14W x 32L cabin kit? I and me wife are interested in having a log home built on our site. Do you have information on this for us? It will be our year round home. Need 2 bdrms, 2 baths, large great room with kitchen, dining and living room, an office room and also with entry foyer. We want a basement, and it will attach to an existing garage. Pricing around Michigan south haven area? Looking to get pricing for you to build on a site in traverse City Michigan. Do you deliver that far? We own land in Mio, Michigan and are wanting to build there. Is this an area you service? We will be in that area Monday thru Wednesday this coming week if we can meet with someone.